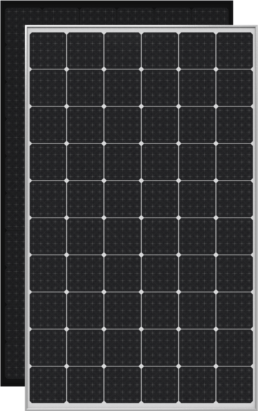 The Autarco MSC series solar panels incorporate Silverpoint technology with high efficiency monocrystalline PERC cells. Busbar free. Silverpoint is the latest in back contact solar panel technology. On each cell, 36 tiny holes filled with silver paste replace conventional bus-bars enabling larger cells, placed closer together whilst reducing effect of micro-cracks risk of soldering inter-connect failure and solder corrosion. With the resulting rated power of up to 330Wp and Autarco's extra focus on consistency and quality make this the panel of choice for commercial and utility projects looking to optimize the levelized cost of electricity (LCOE). 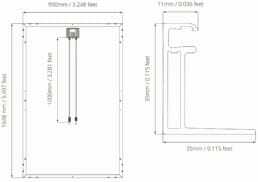 The modules are tested against all relevant standards by recognized testing labs and have excellent component guarantees but of course it’s the kWh guarantee that really protects your investment. 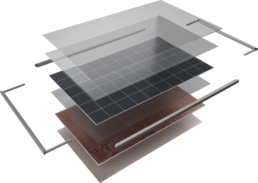 By replacing the busbar's with the Silverpoint cells and re-enforcing copper sheet we fundamentally improve the reliability and durability of the solar panel. - Optimize your business case with this value for money module. - Ultimate assurances regarding performance. - Improved performance on sunny days. - Outstanding durability and loading capabilities. - A professional & good looking panel for your project. - High efficiency up to 330Wp. - 30 year linear (80.3%) power output warranty. - Lloyd's of Londons insured power output warranty. - Improved temperature coefficient of 0.36%. - Front load up to 5400 Pa.